Historically, Christians have adopted one of three positions: (1) Activism — it is always right to participate in war, (2) Pacifism — it is never right to participate in war, or (3) Selectivism — it is right to participate in some wars. The just war theory represents the third position and was articulated initially by Augustine who developed it as a logical extension of Romans 13:1-7. 1 Every person is to be in subjection to the governing authorities. For there is no authority except from God, and those which exist are established by God. 2 Therefore whoever resists authority has opposed the ordinance of God; and they who have opposed will receive condemnation upon themselves. 4 for it is a minister of God to you for good. But if you do what is evil, be afraid; for it does not bear the sword for nothing; for it is a minister of God, an avenger who brings wrath on the one who practices evil. 5 Therefore it is necessary to be in subjection, not only because of wrath, but also for conscience’ sake. 6 For because of this you also pay taxes, for rulers are servants of God, devoting themselves to this very thing. 7 Render to all what is due them: tax to whom tax is due; custom to whom custom; fear to whom fear; honor to whom honor. This seven-point theory provides a framework for evaluating military action. A just war will include the following conditions: just cause, just intention, last resort, formal declaration, limited objectives, proportionate means, and noncombatant immunity. The first five principles apply as a nation is “on the way to war” (jus ad bellum) while the final two apply to military forces “in the midst of war” (jus in bello). Let’s look at each of these in more detail. • Just cause — All aggression is condemned in just war theory. Participation must be prompted by a just cause or defensive cause. No war of unprovoked aggression can ever be justified. • Just intention — War must be to secure a just peace for all parties involved. Revenge or conquest are not legitimate motives. • Last resort — War must be engaged as a last resort only after diplomacy and economic pressure have been exhausted. • Formal declaration — War must be initiated with a formal declaration by properly constituted authorities. • Limited objectives — War must be characterized by limited objectives such a peace. Complete destruction is an improper objective. War must be waged in such a way that once peace is attainable, hostilities cease. • Proportionate means — Combatants may not be subjected to greater harm than is necessary to secure victory. The types of weapons and amount of force used should be limited to what is needed to repel aggression and secure a just peace. • Noncombatant immunity — Military forces must respect individuals and groups not participating in the conflict. Only governmental forces or agents are legitimate targets. Two types of objections often surface against the idea of just war theory. First, there is the moral objection. Pacifists argue that it is never right to go to war and often cite biblical passages to bolster their argument. For example, Jesus said believers should “turn the other cheek” (Matt. 5:39). He also warned that “those who take up the sword shall perish by the sword” (Matt. 26:52). However, the context of the statements is key. In the first instance, Jesus is speaking to individual believers in his Sermon on the Mount, admonishing believers not to engage in personal retaliation. In the second instance, He tells Peter to put down his sword because the gospel should not be advanced by the sword. But at the same time, Jesus actually encouraged his disciples to buy a sword (Luke 22:36) in order to protect themselves. Two political objections have been cited in the last few months against the application of just war theory to our war on terrorism. Critics say that the idea of a just war applies to only to nations and not to terrorists. Even so, that would not invalidate American miliary actions in Afghanistan or Iraq. But the criticism is incorrect. It turns out that Christian thought about just war predates the concept of modern nation-states. So the application of these principles can apply to governments or terrorist organizations. Moreover, the very first use of American military force in this country was against Barbary Pirates (who were essentially the terrorists of the 18th century). Critics also argue that since terrorism is an international threat, the concept of just war would require an international declaration of war. This is not true. The U.S. or any other country does not need to get international approval to defend itself. Even so, both President George H. W. Bush and President George W. Bush have brought the issue of Iraq to the United Nations for a vote. But as the current president made clear, he sought UN approval, not permission. He would like multilateral approval and help, but the U.S. is prepared to go it alone if necessary. "How Old Was Jesus When He Died?" "Where Are the References to Jesus From His Lifetime?" 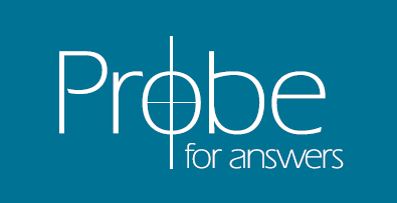 Kerby Anderson is president of Probe Ministries International. He holds masters degrees from Yale University (science) and from Georgetown University (government). He is the author of several books, including Christian Ethics in Plain Language, Genetic Engineering, Origin Science, Signs of Warning, Signs of Hope and Making the Most of Your Money in Tough Times. His new series with Harvest House Publishers includes: A Biblical Point of View on Islam, A Biblical Point of View on Homosexuality, A Biblical Point of View on Intelligent Design and A Biblical Point of View on Spiritual Warfare. He is the host of "Point of View" (USA Radio Network) heard on 360 radio outlets nationwide as well as on the Internet (www.pointofview.net) and shortwave. He is also a regular guest on "Prime Time America" (Moody Broadcasting Network) and "Fire Away" (American Family Radio). He produces a daily syndicated radio commentary and writes editorials that have appeared in papers such as the Dallas Morning News, the Miami Herald, the San Jose Mercury, and the Houston Post.